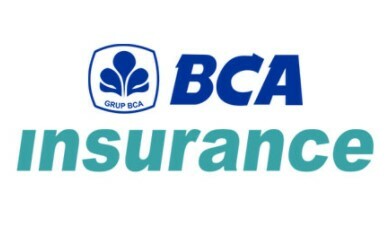 PT Asuransi Umum BCA was previously named PT Central Sejahtera Insurance renamed in 2013. Originally named PT Asuransi Ganesha Cipta Danamas which was established in 1988 and later in 2006 changed its name to PT Transpacific General Insurance. On December 23, 2010, share ownership was taken over by BCA's subsidiary BCA Finance and BCA Pension Fund. Then changed to BCAinsurance which holds the status of the only subsidiary of BCA Group engaged in general insurance / loss insurance. The seriousness of Management and its staff in laying a solid foundation on the basis of future business growth, has made BCAinsurance a very impressive performance. The company's foundation leverage is accompanied by improvements to the system and quality improvement of human resources with expertise and new spirit ready to compete confidently and productively. BCAinsurance continues to improve IT systems, as the backbone to support the Company's business growth. In achieving and realizing the objectives of a company or agency, as set in its vision and mission, then in April of 2018 is re-opened the latest BCA Insurance Jobs to fill the position of the position that is needed. This is a career opportunity for the nation's sons who want to grow, grow and be involved with PT Asuransi Umum BCA. Currently BCA Insurance wants to bring the best human resources who have the skills and special skills to meet the required job qualifications. Surveyor Trainee Program (STP) That is professional development in the field of claims that are specially designed in the field of general insurance. Basic Development Program (BDP) is a prospective employee development program designed with education, apprenticeship and placement in all branch offices in Indonesia. This program prepares you to become a reliable leader. Willing to undergo school ties after studying.